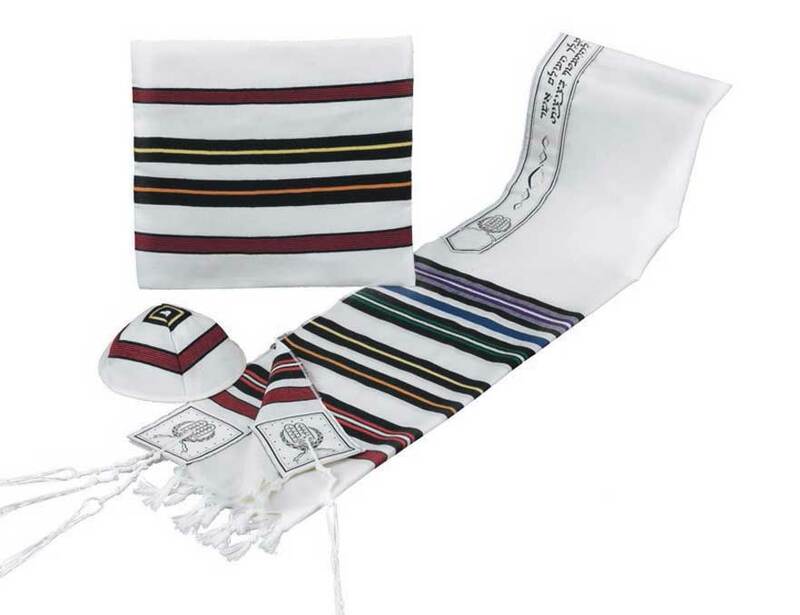 B'nai Or Wool Tallit Set of 13 Stripes. "Bnei Ohr" Light-wool Tallit & Bag with 13 colored stripes. A matching Kipa is available, see the options below. Tallit comes with Kosher white Tzitzit tied on. "Techelet" Blue Dyed Tzitzit is available, see the options below. (We only offer the more expensive Techelet which will not stain your Tallit). Available in many sizes, price reflects the 18" x 72". Click the item image for more details.